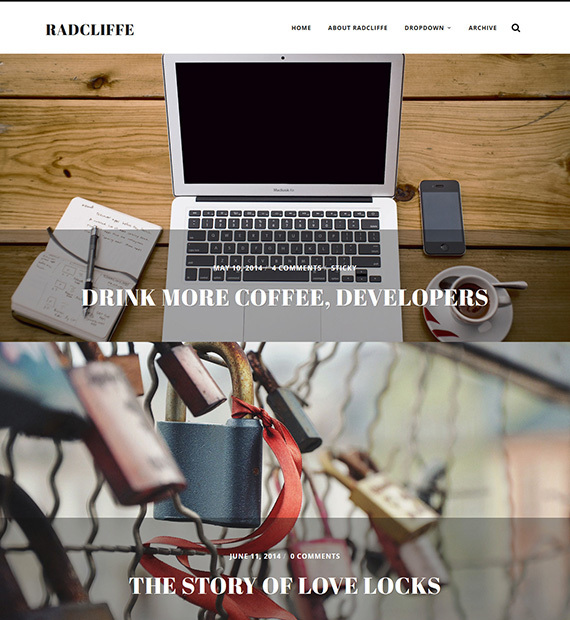 Radcliffe is a beautiful and minimal WordPress theme that will allow you to show off your photographs effectively. With this theme, you can present your content without having to deal with unnecessary bloat. As it is highly responsive and retina ready, your website will look beautiful regardless of the device. Furthermore, Radcliffe also comes with beautiful typography, Gutenberg support as well as localization support.